A beautiful red and white border collie crouches at the start line as if to begin an attack. His owner tells him to stay and leads out a few feet. Upon releasing him, the dog becomes a red streak as it flies over jumps, through tunnels, over large wooden-looking obstacles and through poles with the handler directing the dog's every move. 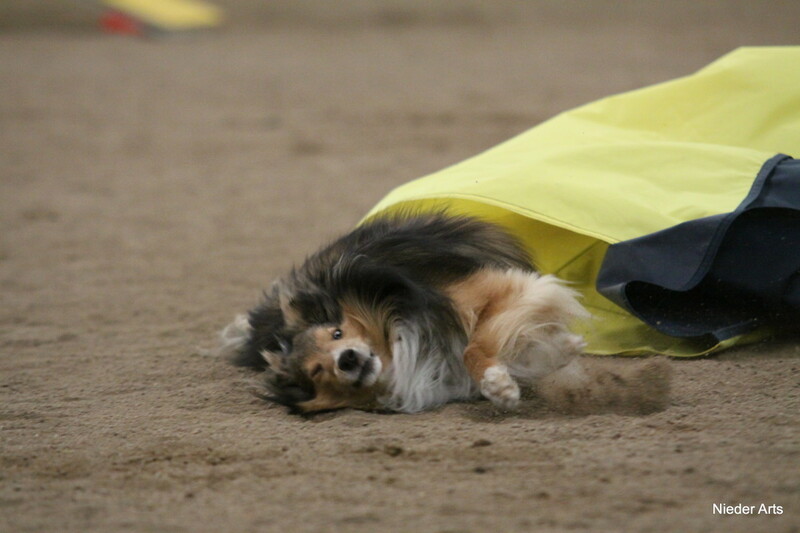 In a matter of seconds, the dog has run through all of the obstacles in the agility ring and crosses the finish line to the cheers of the crowd. And while you're impressed with the dog's speed and clap for the team, you're still a bit confused. Did the team do well? Was it fast enough? What are the rules of this new sport anyway? Watching your first dog agility trial can be confusing. While it is a spectator sport, knowing the rules helps greatly with your enjoyment. Agility is one of those sports that is actually much harder than it looks! Agility is the fastest growing canine sport in the Unites States. It involves a dog and a handler running through an obstacle course. 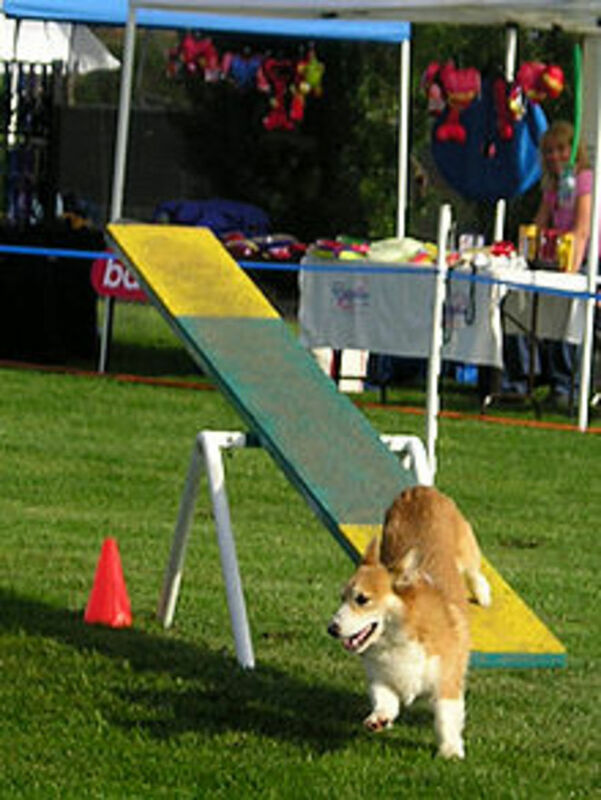 The obstacles are to be taken in a certain order and under a certain time, and each agility course offers a different layout and sequence of obstacles. Mistakes such as a dropped bar, taking an obstacle out of sequence, not completing an obstacle and more are counted against the team. The teams that run the cleanest (without mistakes) and are the fastest win. Watch the video above to see examples of teams competing in agility. To a new spectator, the difficulty in agility seems to be in the training it takes to get the dogs to do the obstacles. 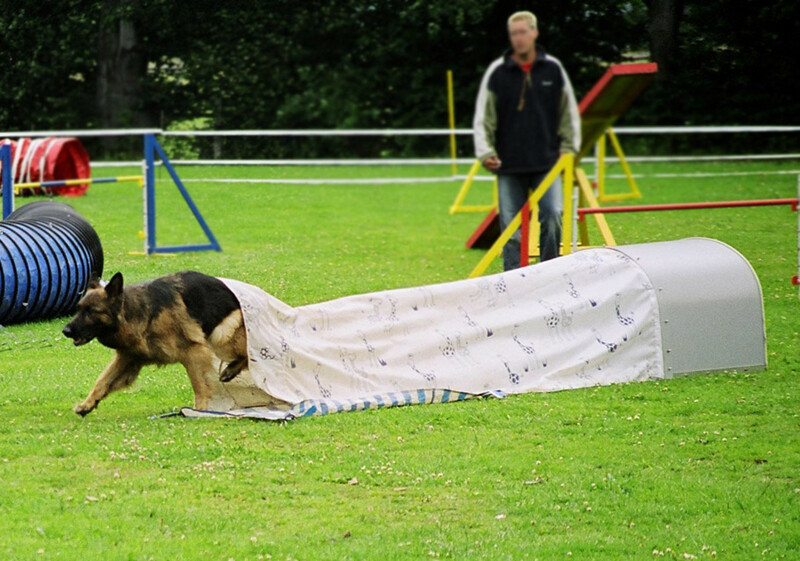 Actually, the most difficult part of agility is in-between the obstacles when the handler is communicating with the dog which obstacle they are to take next. The faster the dog, the less time the handler has to communicate this information. This millisecond communication between a human and a fast, well-trained dog is what makes agility the fun, speedy and beautiful sport it is. Let's look at what a person watching an agility trial for the first time should know to further enjoy the experience. We'll look at the equipment, the levels, the rules, the classes and some dos and don'ts those visiting an agility trial should know. What Are the Various Pieces of Agility Equipment? 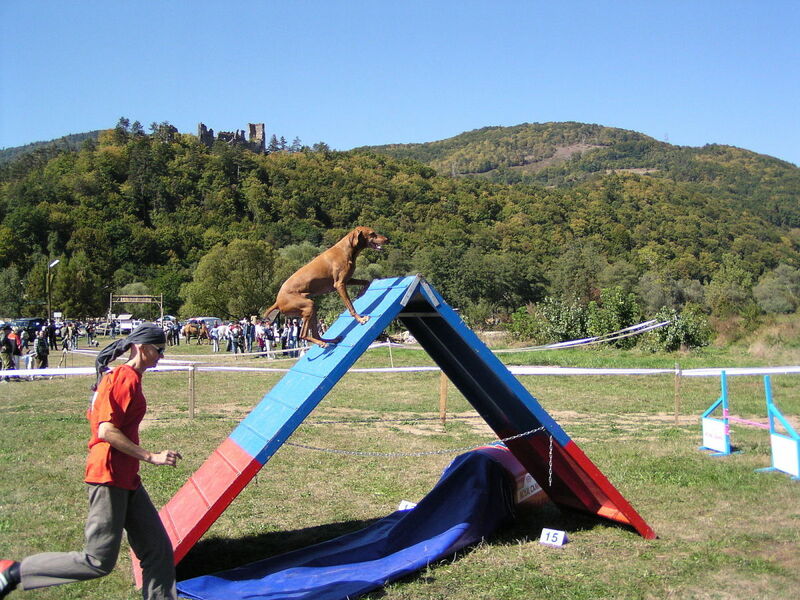 Dogs have to learn to navigate various agility obstacles in order to safely and successfully run an agility course. These pieces of equipment include the A frame, dogwalk, teeter, table, tire jump, jumps, double jump, triple jump, panel jump, broad jump, chute and tunnels. There may be different types of equipment, depending on the rules of the group offering the agility trial. Since the AKC (American Kennel Club) is the ruling entity of most shows in the USA, we'll focus on just AKC equipment and rules for this article. 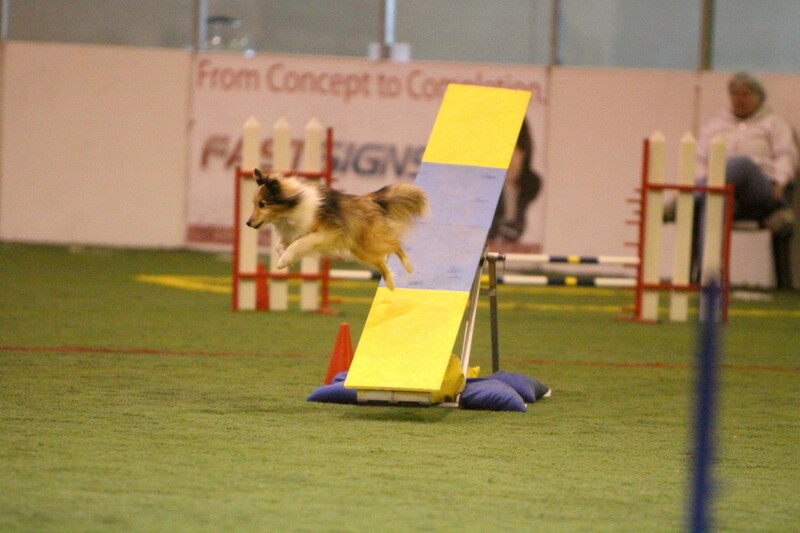 Most other agility venues are similar enough to AKC rules to generalize this information to those venues. The A frame is the widest, largest piece of equipment and is called an A Frame because it makes an A shape (see Photo 1 and video above). Dogs must go up and over the A frame and hit the yellow paint (contact zone) before leaving. The dogwalk is the longest piece of equipment (see Photo 2 and video above). Dogs must go up and over the dogwalk and hit the yellow contact zone before leaving. The teeter is the most unsteady piece of agility equipment (see Photo 3 and video above). Dogs are often afraid of having the plank move out from under their feet as the teeter falls. Dogs must go over the teeter, have the teeter hit the ground, and hit the contact zone before leaving. A pause table is a table onto which the dog must jump and stay for five seconds (see video above). The dog must stay on the table until released by its handler. Some venues require the dog to lay down, sit or stand while on the table. There are several types of jumps. A dog must simply jump over a single bar jump without dropping a bar (see video above). Double and triple spread bar jumps also require the dog to jump them without knocking a bar (see Photo 4 and video above). The broad jump requires the dog to jump it without ticking or walking on it. The tire jump requires the dog to jump through it (see Photo 5 and video above). The panel jump is a solid jump with displaceable panels that must not be dropped (see video above). The weave poles are 6 or 12 poles that require the dog to enter between the first and second pole with the first pole at the dog's left shoulder. The dog must then "weave" between each pole without missing a pole (see Photo 6 and video above). 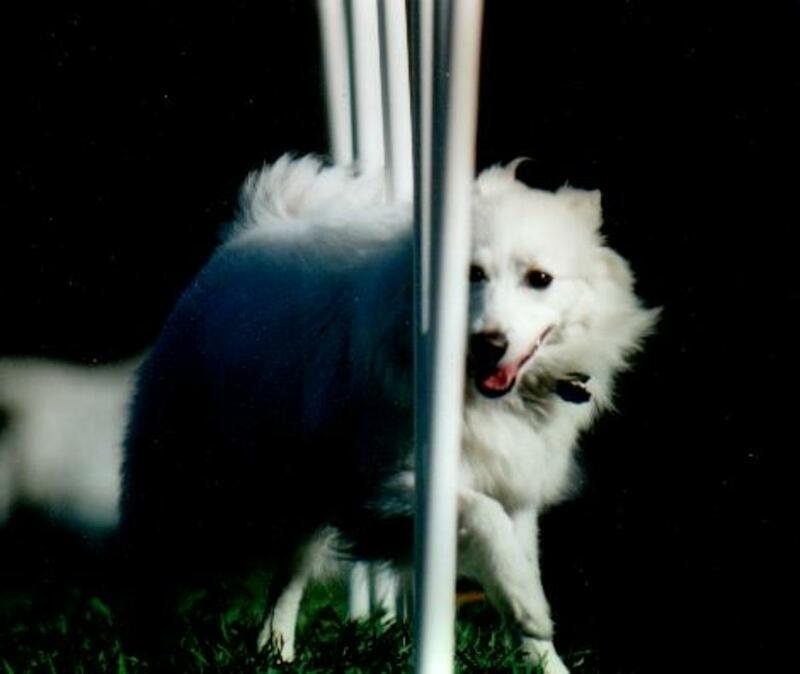 The weave poles are considered by many to be the hardest agility obstacle to train. There are two types of tunnels. 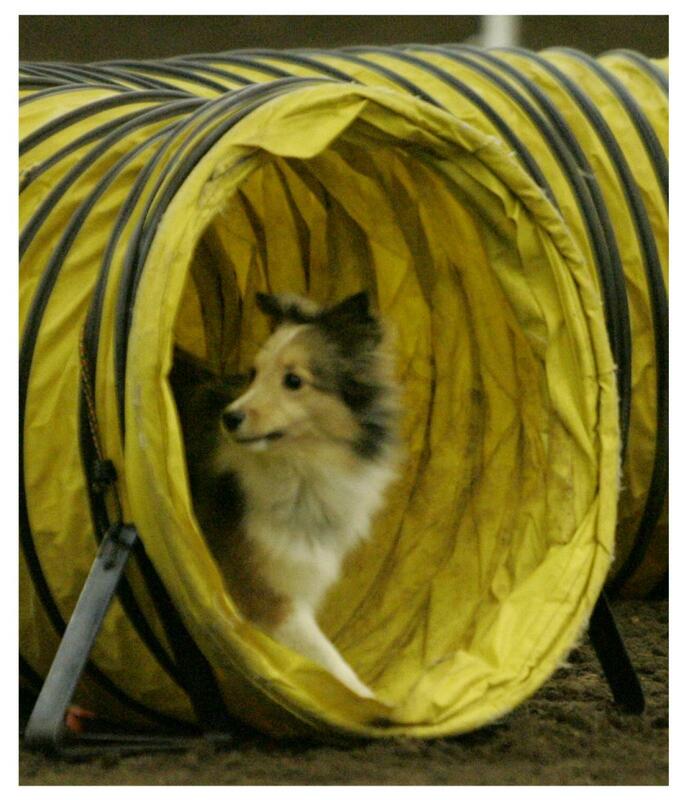 The regular tunnel is simply a vinyl tunnel the dog must run through (see video above). The second type of tunnel is called a chute, closed tunnel or collapsed tunnel. This has a hard barrel opening with a length of material on its exit end that the dog must run through (see Photo 7 and video above). 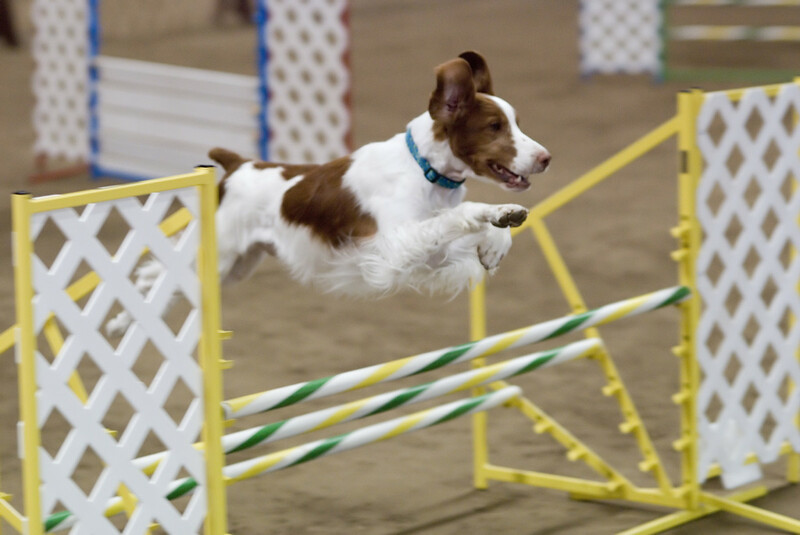 How long the length of material is depends on the rules of the agility organization sanctioning the agility trial. Like most sports, agility has "levels" of difficulty. 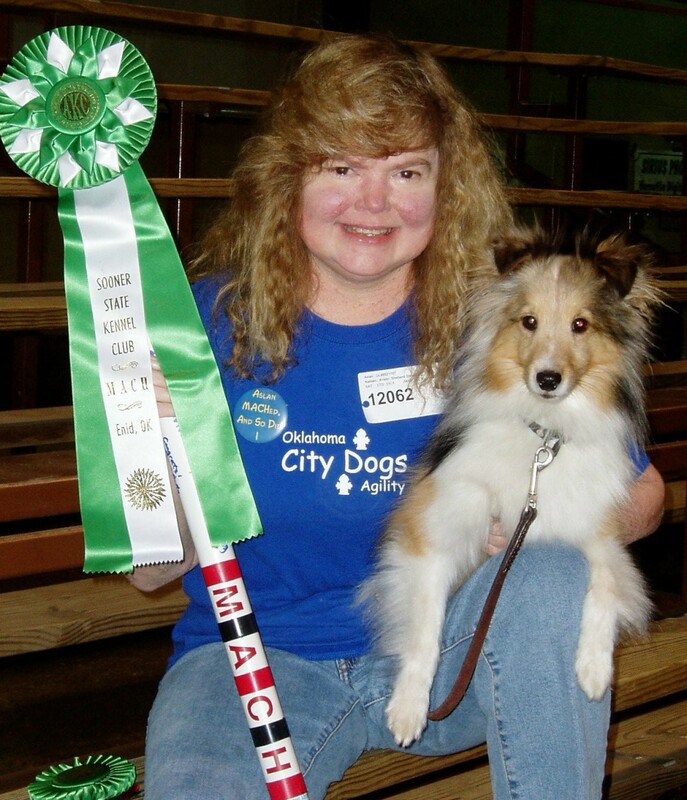 At an AKC agility trial, these levels are Novice (beginners), Open (intermediate), Excellent (advanced), and Masters. Teams (a team consists of a dog and a handler) who are beginners run on the easiest courses with the fewest obstacles, and they are allowed to make mistakes and still qualify (pass) on the course that day. Teams who are in the masters level cannot make any mistakes in order to qualify, and the courses are the most difficult. The levels between Novice and Masters allow for fewer mistakes and harder courses as they progress. 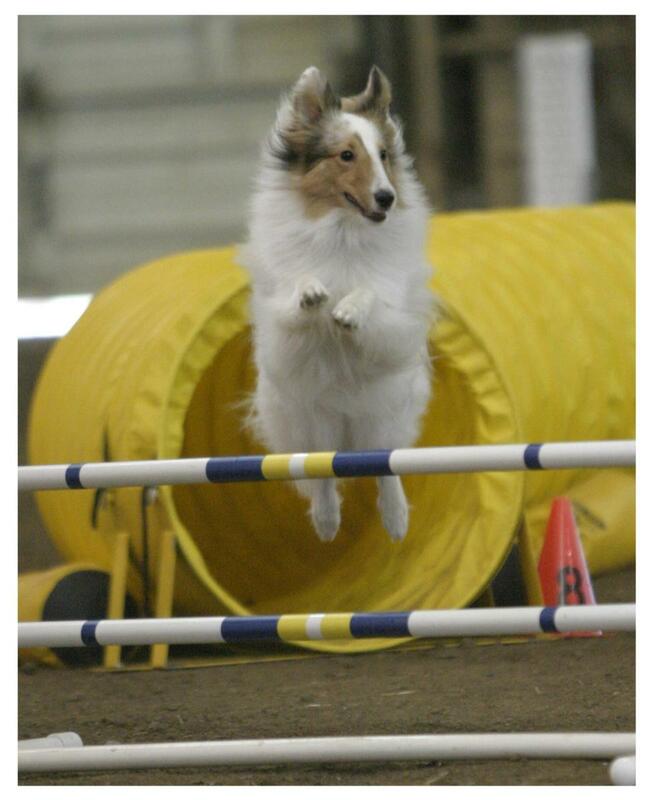 Therefore, it's important to know which level you are watching at an agility trial. The Novice level will mostly have teams brand new to competition. The dogs will often run amok and the handlers may even seem lost. The runs are not always smooth with lots of mistakes and bobbles. This is common for all new dogs, and it's usually quite fun to watch the new teams begin to work out the "wrinkles." If you are watching Masters teams, you will see many teams running fast and clean with no mistakes. Other teams may have a few mistakes, but still have beautiful, fast runs. There will still be the occasional "train wreck" run as even experienced teams get out of sync, but most teams will run with great skill and precision. The goal is for teams to qualify - or "pass" - on any particular course as qualifying runs add up toward titles that the dogs can earn. These AKC titles are greatly coveted and celebrated. Refusals: This is where a dog stops forward motion or spins before an obstacle. If a judge raises their hand in a fist, it means the team incurred a refusal or run out. Run outs: This is where a dog runs past the next obstacle in sequence he/she is supposed to take. If a judge raises their hand in a fist, it means a team incurred a run out or a refusal. 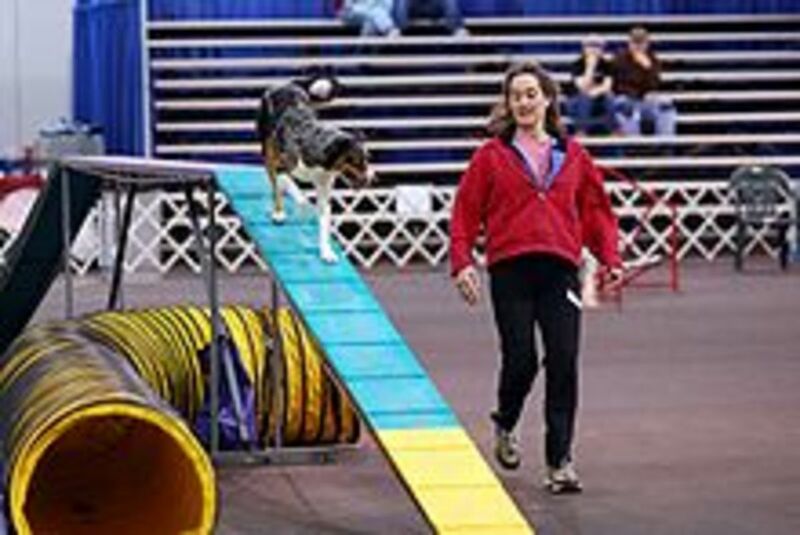 Wrong Course: Each agility course is different, and the dogs must follow the handler's direction to know which obstacle is next. If the dog takes an obstacle out of sequence, it's a wrong course. If a judge raises their hand with their fist open, it signifies a wrong course. Table Fault: A dog is called for a table fault if it gets on the pause table but leaves it before the five second count is finished. Tables are in Standard Class only. If a judge raises their hand with two fingers or makes a "T" with both hands, it signifies a table fault. Mandatory Elimination: There are many ways a dog can incur a mandatory elimination or "failure to perform." Here are a few of the more common. They can jump off of the contact obstacles (A Frame, teeter, dogwalk) before hitting the usually yellow painted "contact zone" at the bottom of the obstacle. This is a safety zone, and a dog must have part of its paw in the zone before leaving the obstacle. A dog could "fly off" the teeter, meaning the dog leaves the teeter before the teeter hits the ground. A dog could drop a bar on a jump. If a dog gets a Failure to Perform at any level, it has not qualified that day. When a judge raises both hands, this indicates a Failure to Perform. Mandatory Excusal: There are many ways a dog can get excused from the ring. Some of the more common include: the dog leaving the ring without a leash, a dog defecating or urinating in the ring, a dog running with its dog tags on its collar, a handler physically touching their dog to aid in their performance, training in the ring and much more. If you hear the judge's whistle, a dog has been probably been excused. Time Faults: Each course has a Standard Course Time (SCT). In order to qualify, the dog must run the course under the SCT. Some dogs will go over SCT but are still allowed to continue running the course until the maximum course time is reached. 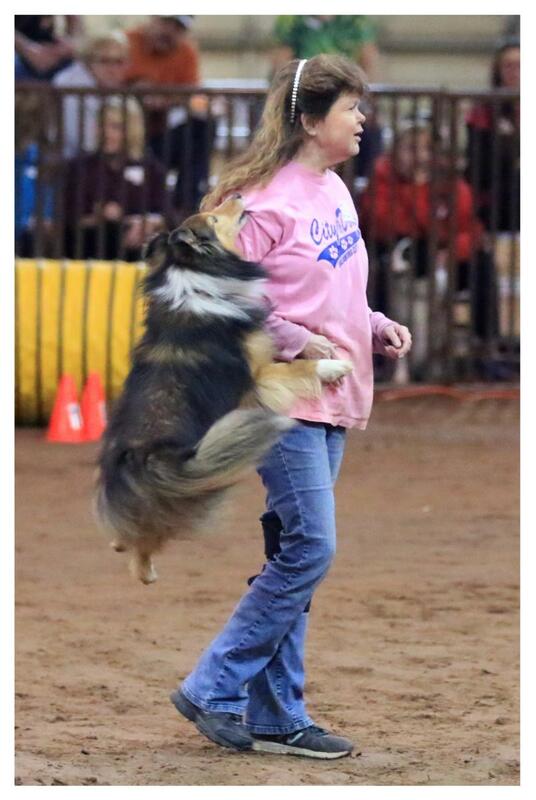 At that point, the dog will be asked to leave the ring, even if it is still in the middle of the course. Points are deducted from the dog's score for every second over SCT depending on the dog's level. Below are tables explaining the different levels and the different mistakes allowed at each level for a team to qualify (pass) the course. The above list of "mistakes" possible is by no means exhaustive. 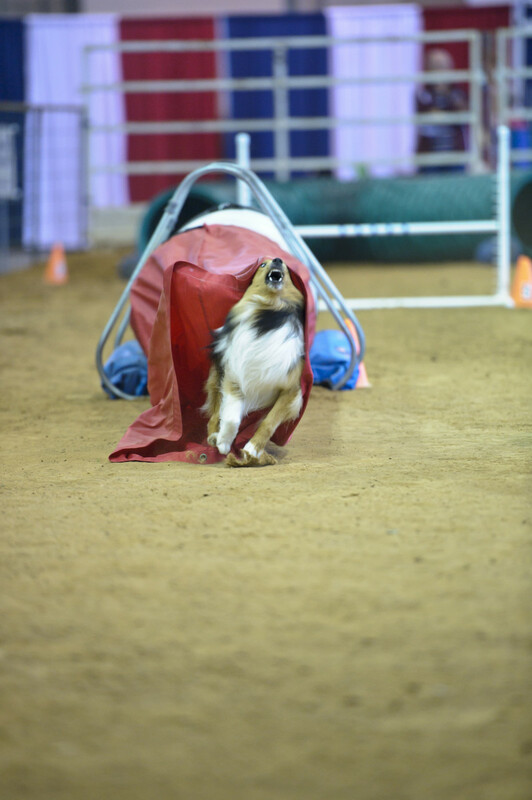 Here is a full listing of potential mistakes in AKC agility [PDF]. In addition to levels, there are also different classes in which a team can show. Often called "games," the AKC has five different types of classes available. Standard is the class where all of the agility equipment is used. The dogs must run though the obstacles in a certain order. Jumpers With Weaves (JWW) is a class that consists only of jumps, tunnels and weaves poles. This course, too, is sequentially numbered, and the teams must complete the course in order. FAST (Fifteen and Send Time) is a different type of "game." Here teams can make up their own course for most of the obstacles. A line is placed on the ground, and handlers must at some point in their run send their dogs out at distance to take two or three obstacles in a certain order. Dogs unable to work at a distance from their handlers find this class to be difficult. Time 2 Beat (T2B) is another game where teams run a flowy course as quickly as possible. Teams that are the fastest earn the most points in this fast-flying game. Premier is a class that test the handler's ability to direct their dog through a very challenging course. Premier classes come in both the Standard and JWW variety and are for the most experienced teams. Knowing the rules helps the spectator better understand what is happening in the ring. Just as with any sport, rule knowledge helps greatly with spectator enjoyment. Starting with a score of 100, a qualifying score is 85. A score of 100 to quaify. Don't stand around the ring entrance to watch the trial. This is where the dogs are entering the ring, and the handlers are performing their pre-run rituals with their dogs. It's already a crowded place, and having spectators clog the entrance gate area makes it that much more stressful for the canine competitors. Watch the action from a place away from the ring entrance. Do clap for the teams you've enjoyed watching. It's fun to see dogs enjoying themselves in the ring, even if they have made a lot of mistakes. Feel free to clap for the teams, whether they do well or not. They all have worked very hard to even make it to the trial, so encouragement is always welcome! Don't leave children free to run about an agility trial. This is a dog show, and it is not a place for children to be running, crying or acting up. Some dogs, no matter how well trained, do not care for little children, so great care must be taken to make sure that children are behaved through their entire visit to the show. Children should not be allowed to get on agility equipment either in the ring or at ringside. Also watch carefully to make sure children are not bothering the dogs - whether inside the ring or outside the ring - at any time. Don't pet a dog without getting the owner's permission first. Whether you are an adult or a child, always ask permission before petting a dog. Some dogs are getting ready to go into the agility ring, and their handler's are working on getting and keeping the dog's focus. Pet time with a stranger breaks this focus, so always ask first. Never ask to pet dogs by the entrance gate to the agility ring. Do sit in the viewing stands, if they are provided. Bleachers and viewing stands are great places to watch the action without being a distraction to competing teams. Feel free to sit in the stands and cheer for your favorite teams. Don't feed the dogs. This can make owners very nervous as most owners are very picky about what their agility dogs eat. Never offer treats to dogs at an agility trial. Do stay away from the ring fencing. Being too close to the ring can cause the more fearful agility dogs to become distracted. Stand back a few feet from any ring fencing. Don't take pictures with a flash camera. Do feel free to take pictures, but make sure your flash is off. The sudden flash can temporarily blind a dog at a very dangerous point on the course. These dogs are running fast over equipment, and a matter of a slight foot misplacement can cause injury and even death! It's very important that your flash not go off during a dog's run on the course. Do feel free to ask questions of the agility competitors you see sitting in the stands. Most agility competitors are eager to share their knowledge of the sport and will gladly answer your questions. 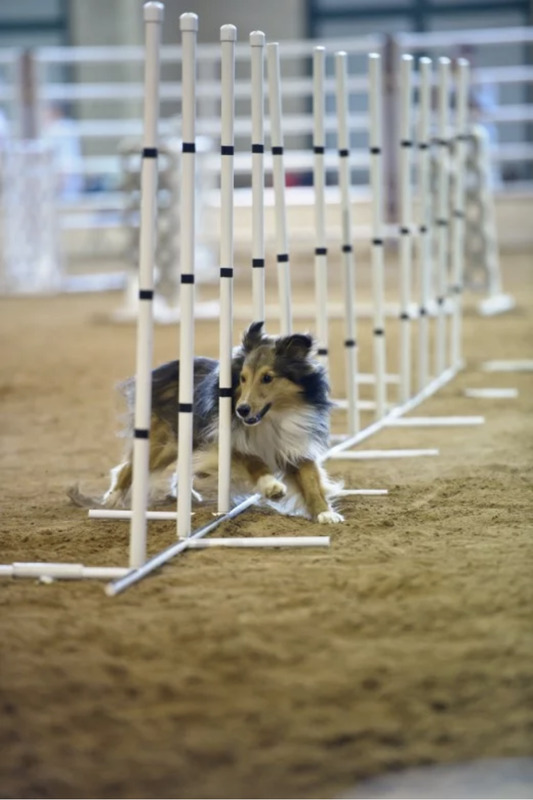 This article actually only gives the very tip of the iceberg when it comes to agility rules and regulations. Like all sports, it can get very detailed. 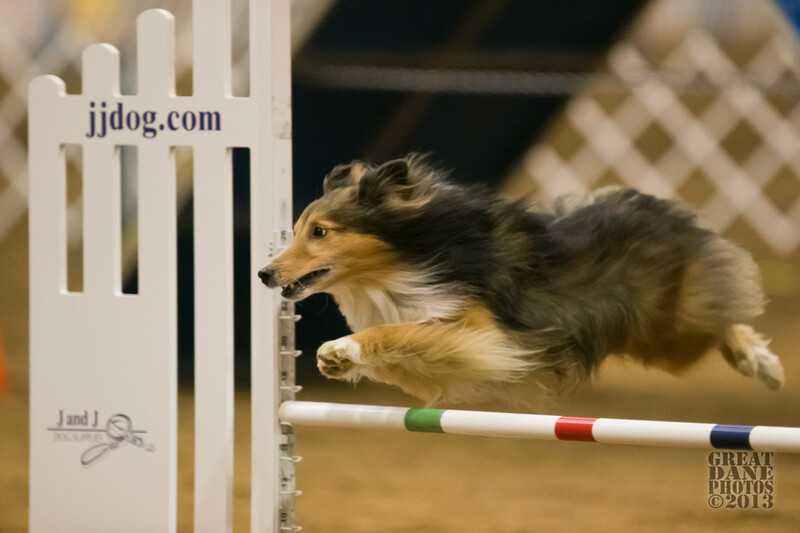 If you would like to read all the rules and regulations, here's the AKC's "Regulations for Agility Trials" [PDF]. Below are also some more links for Agilitymach's articles on various agility topics to help expand your knowledge base on this amazing sport. Agility is a great sport to go and watch. 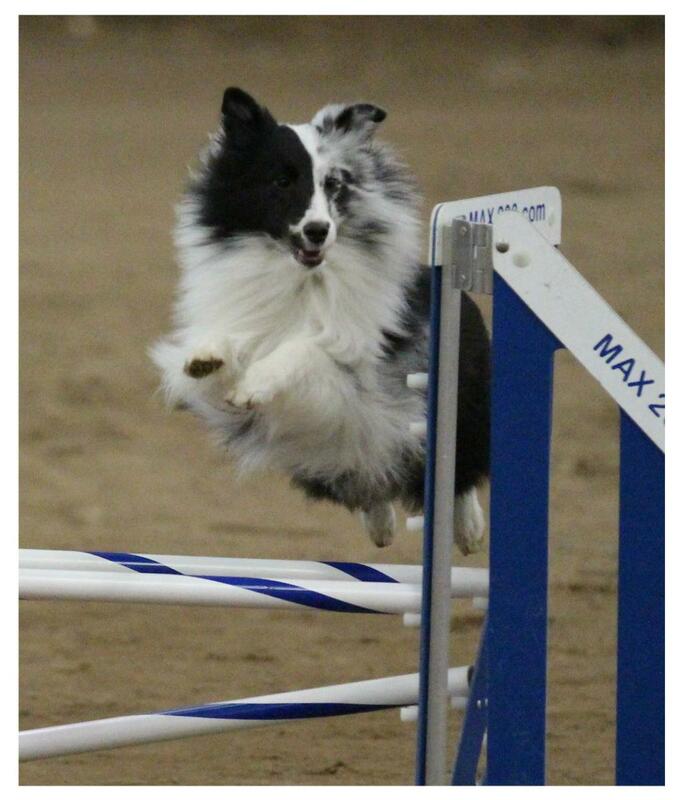 If you hear of an agility trial being held in your area, go check it out!! These trials are almost always free to attend and are both great entertainment and a great education in the amazing capabilities of dogs. Go visit, take pictures without flashes, talk to exhibitors and enjoy your time at the dog show. Why Is Requesting Safer Agility Competition Surfaces for Our Dogs Controversial? Thanks so much iguide!!! Agility is fun to watch, and yes, it's fun to watch even when the dogs make mistakes. Some of those mistakes are actually really cute. :) Thanks for the vote!!!! Yes, the owner gets a good run, too. A major university did a recent study on the value of agility as an exercise for humans. It was rated "vigorous". :) Thanks for dropping by!!! This was awesome to read and watch videos. Looks like the owner gets as much exercise as their dog. This was fun. Thanks for dropping by and commenting Rodney!!! I did not know all this secrets about agility competition. I used to attain dog shows those hold only conformation and obedience. Appreciate this hub. Sounds like terriers are less common. While some breeds are more common, was glad to see people favor the individual dogs' abilities. 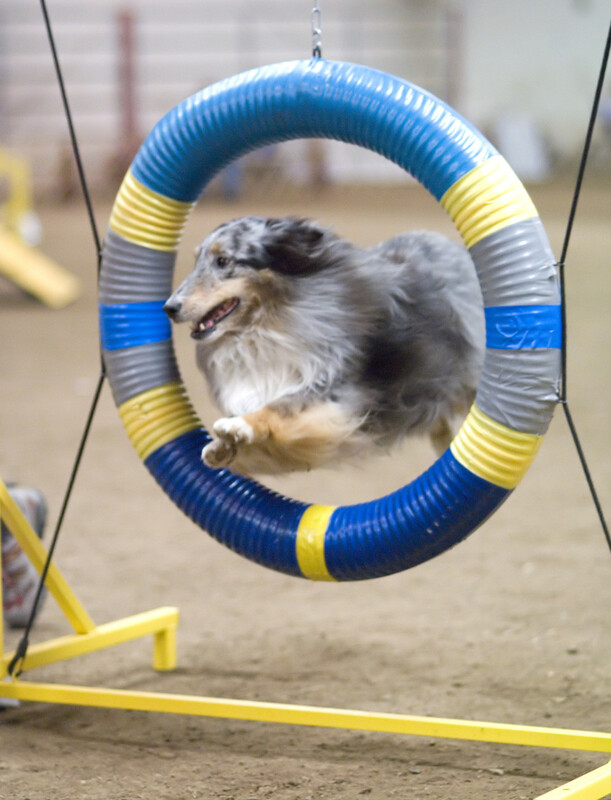 Breeds that are often thought to be good at agility are more of the herding and sporting breeds. These are breeds that were bred to work with a human. However, some toy breeds (like Paps or Chis) can also do well. In fact, there are great dogs in almost every breed doing agility!! Except for the few who struggle in agility because of structure, I never "rule out" a dog as a potential great agility dog because of breed. Now, you do see a lot of border collies, shelties, Australian Sheepdogs, corgis, paps, Goldens, and others. 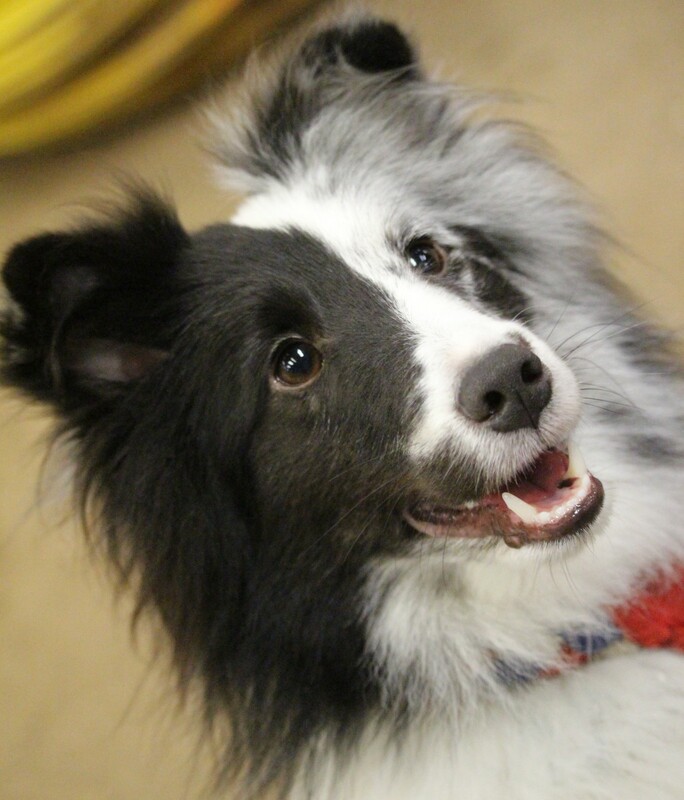 Border collies are probably the number one most common agility breed. Shelties may be the second most common. Do you find that certain breeds or size or class of dog (or mutts) do better than others? I imagine the owner is the most influential part, but what physical traits have more impact? This is a great hub, and since I have never attended an Agility Match, this was awesome. Very well researched and the videos are great.